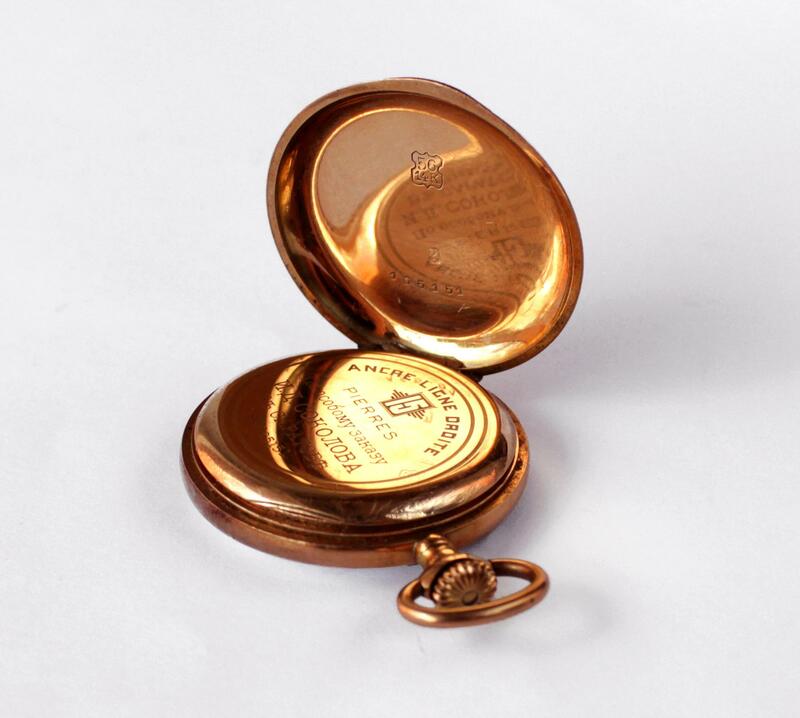 Pre-WWI Russian rose gold watch. Lid is missing. Watch is not working. I would like to know if it is worth something beyond scrap price. 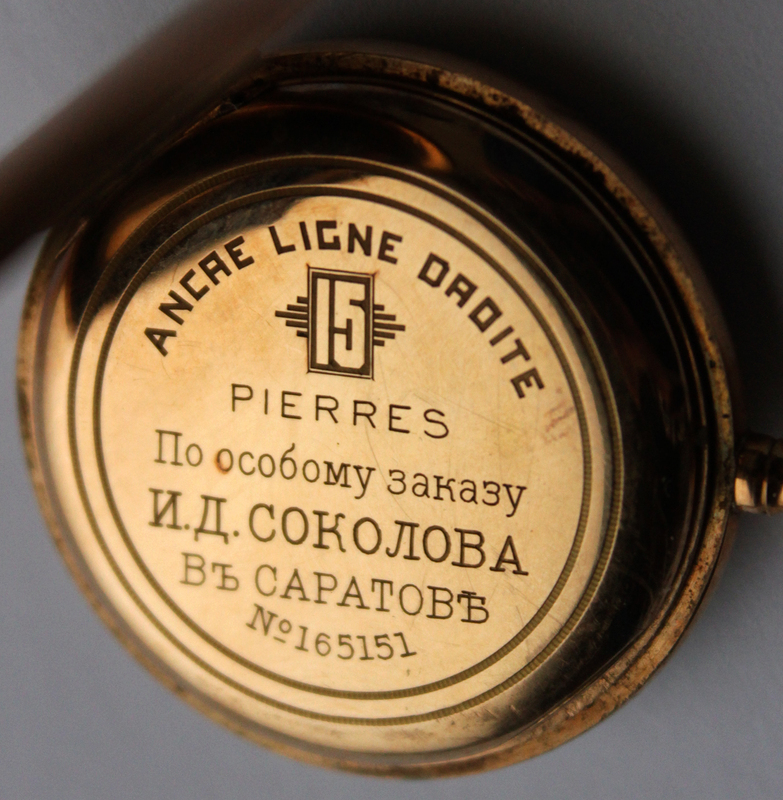 This is a French watch not Russian circa early 1900's or it has a french movement. 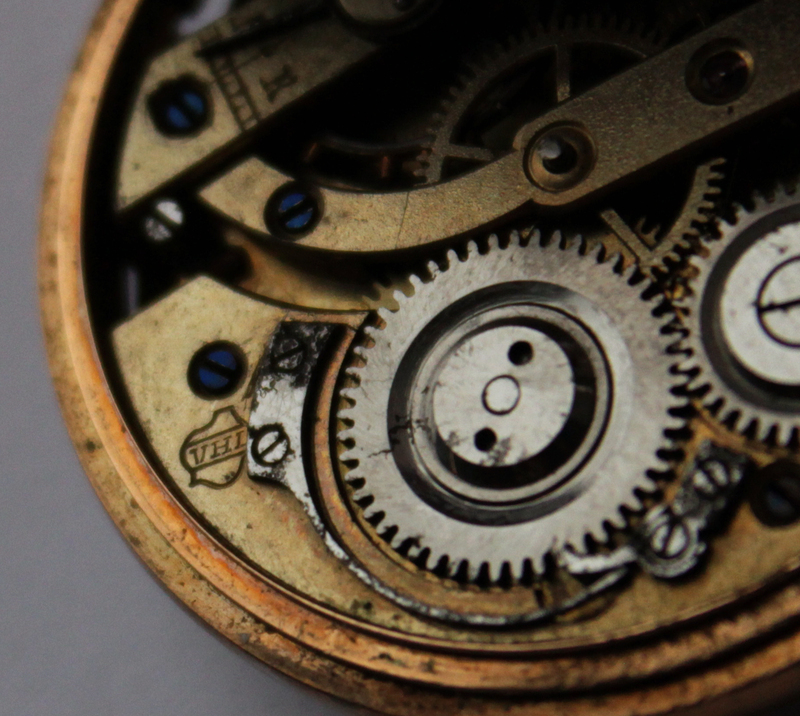 If you can attach some better pictures, of the information inside the covers of the watch please. I would be happy to investigate further. Just let me know when its been updated. Thank you so much! I already realized my mistake as Russia used zolotniks to mark gold purity, not karats. I added pictures of the inside. I assume the squirrel hallmark indicates it's a Swiss watch? 15-Jewel movements are sometimes marked with the jewel count. 14 carat. This was a standard of gold that had been used on the continent for many years and was very popular. 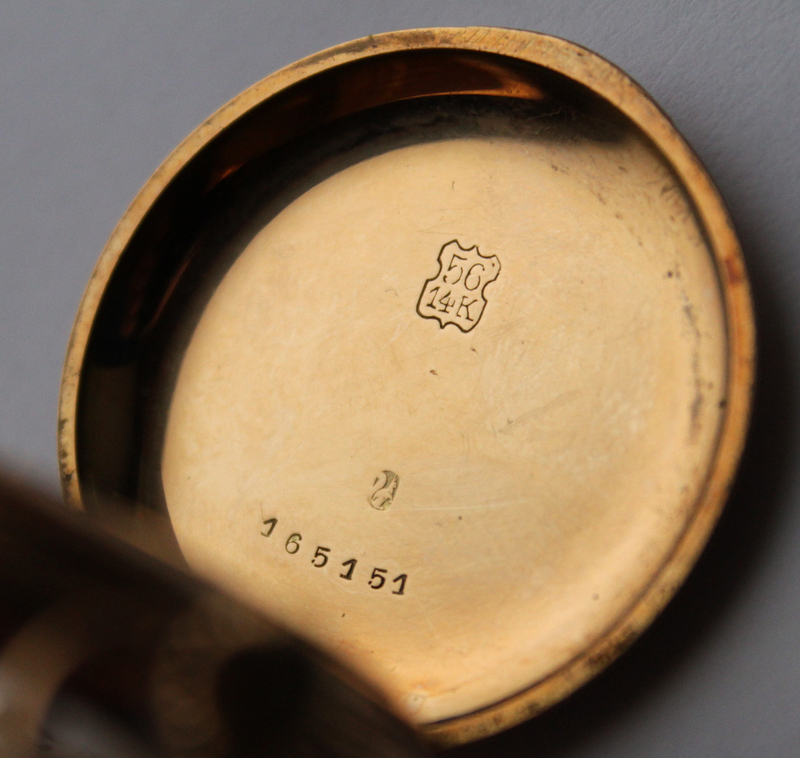 The Swiss legal fineness standard for 14K was 583‰ which was indicated by the mark of a single squirrel as shown in the illustration of the marks. Thus you have 14 k swiss standard finess because of the squirrel ...14 carat gold a squirrel Swiss Act 1880 was when the squirrel was implemented. 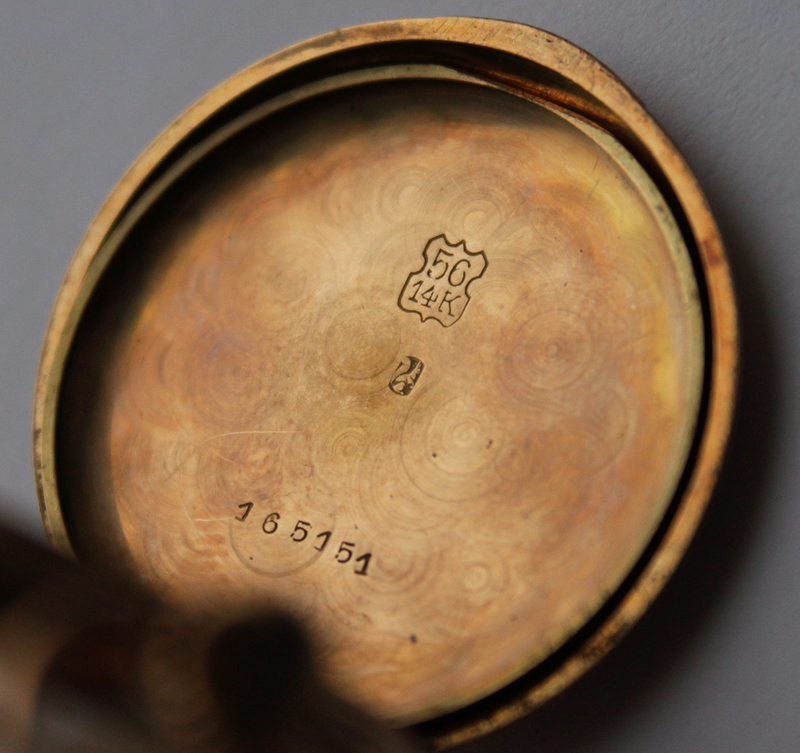 I believe this watch case is swiss by the hallmarks on the back of lid. I believe the interworking may have had parts from France but the interworking look like other Russian movements / workings to me. 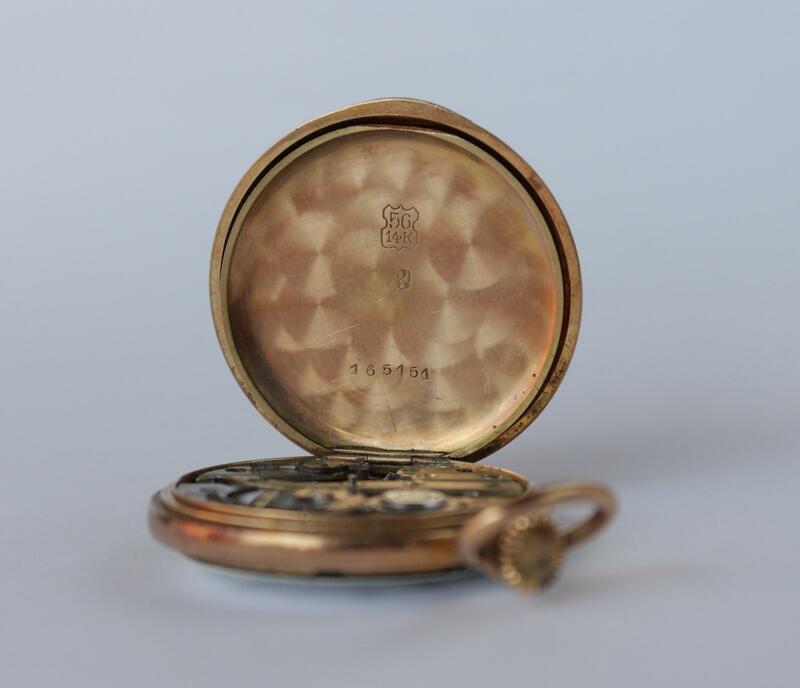 This watch would have been assembled in the City noted by the family noted .. thus the name of the company/place were added prior to sale, on the watch face and bottom at the back of the watch. Very interesting piece of history and period of time. 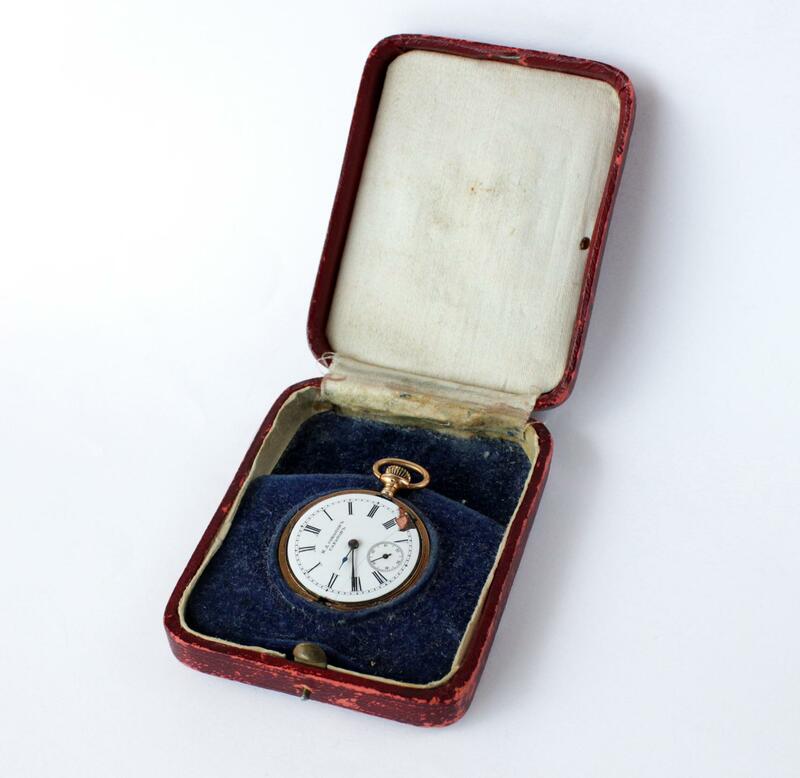 I would estimate this watch dates from 1890 - 1905 from finished product in Western Russia. Est Value: $60 - $120 scrap value. 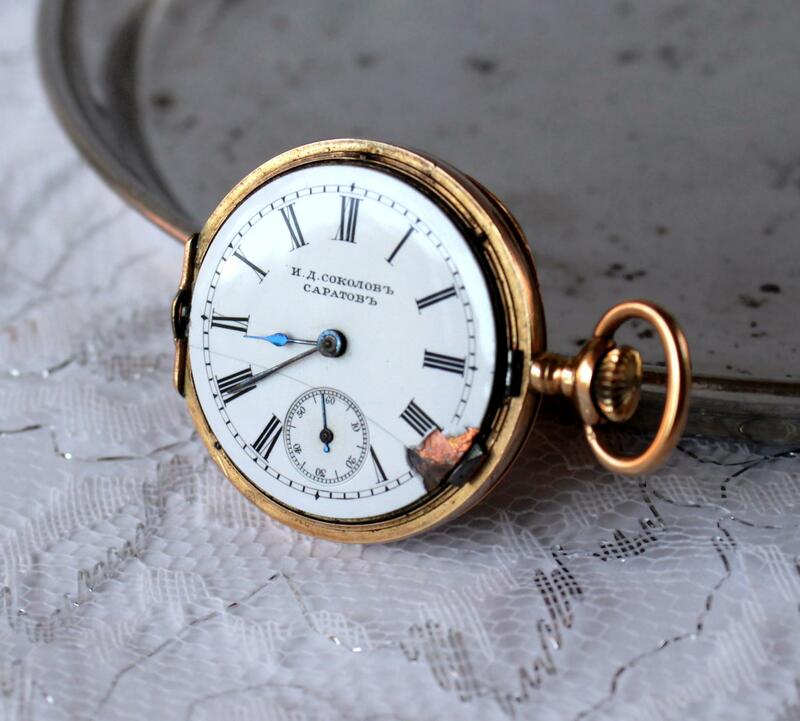 I would not recommend restoring this watch as it would cost a lot to replace parts and fix. Bernadeta .. thanks for the additional information. It was an interesting piece to research. 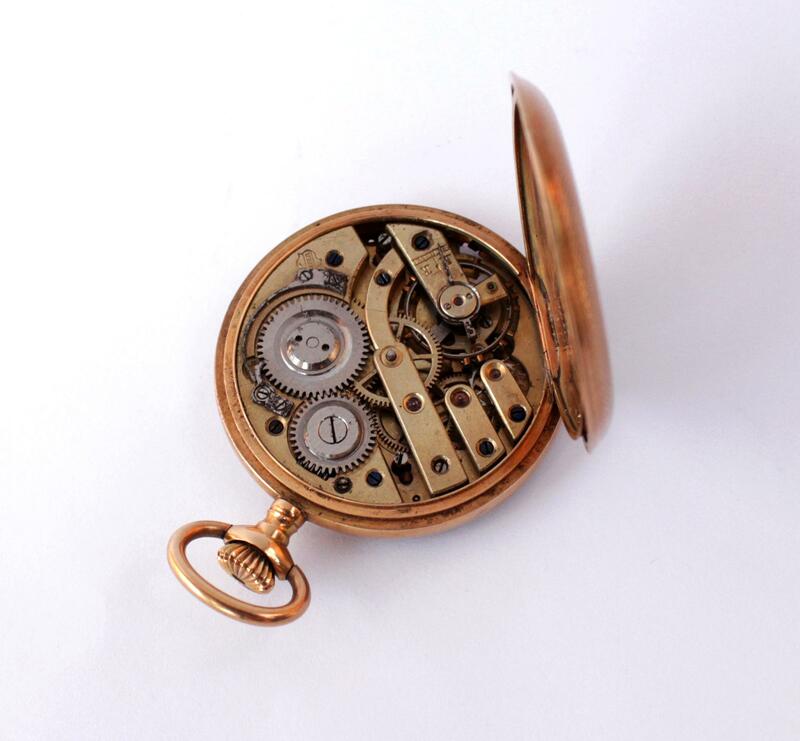 With 3 countries involved in its manufacture of this piece, it could be where the term time travel originated : ) .... If you could please reply and leave me some feedback on my valuation it would be appreciated. If you found this information I provided as valueable ... please upvote it.